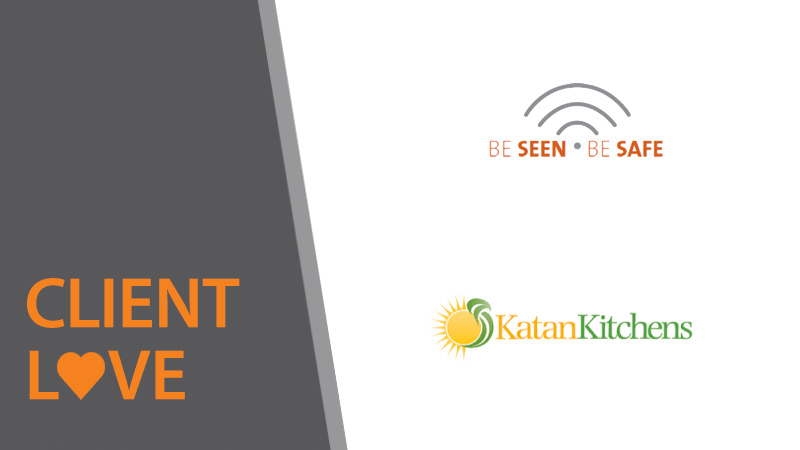 Congratulations to Innovation Guelph clients Be Seen Be Safe Ltd. and Katan Kitchens! 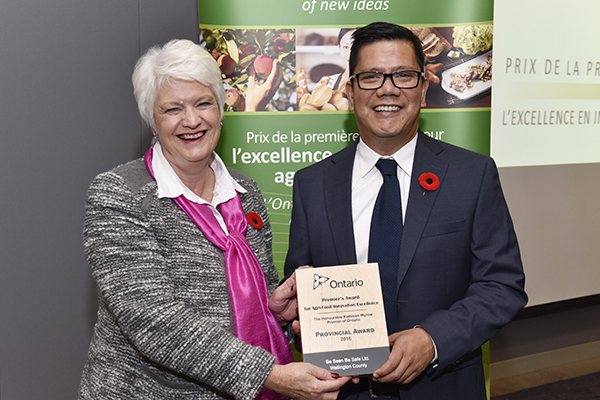 The Guelph-based businesses were two of six recipients from Waterloo-Wellington to receive the 2016 Premier’s Award for Agri-Food Innovation Excellence, and were honoured at a ceremony hosted by Liz Sandals, MPP for Guelph on November 9, 2016. The companies were recognized for their contributions to boosting economic growth in Ontario by creating new products that support job creation, adding value to existing products, supporting a sustainable environment, and supporting the province’s efforts to double the growth rate of the agri-food sector. 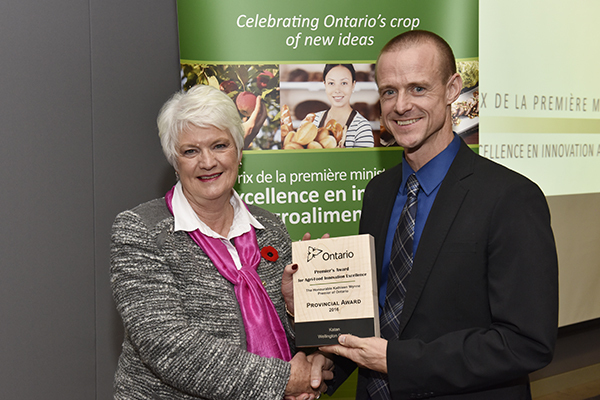 “Innovative businesses like these show us just how dynamic our agri-food sector is in this region and across the province,” said Liz Sandals, MPP Guelph. Established in 2012, Be Seen Be Safe Ltd. is a farm biosecurity and disease management platform that leverages GPS technology to create virtual borders around farms. When feed suppliers, veterinarians and other regular visitors cross the “geofence,” an app on their smartphone generates an automatic entry into the virtual visitor log. Should an outbreak occur, the system sends an alert to other farms and service providers in the area. Producers in Canada and around the world are adopting the system, making it faster and easier to respond to outbreaks of dangerous diseases. An IG client since 2012, Jamie Draves formed Katan Kitchens after a health crisis in 2007 that resulted in the loss of a third of his pancreas. Realizing the use of high quality foods for improved health drove Jamie’s passion and pursuit to form Katan Kitchens and to commercialize Quinta Quinoa, a high nutritional quality and purity quinoa that is grown and processed in Canada. Through five years of rigorous research, Katan has developed and refined a non-GMO quinoa seed suited to Ontario’s soil, climate and farming practices. It’s the first variety to be commercialized in the province and boasts higher levels of protein, iron, magnesium, fibre and zinc than its South American counterpart. With the product currently available online, at local trade shows and in health food stores, Katan is ramping up production of the profitable crop, expanding into other provinces and constructing a processing facility to keep up with demand. Innovation Guelph is proud to provide business mentorship to these local agri-food innovators, and looks forward to their continued development.